Figleaves Curve Miami Animal Brief is rated 3.2 out of 5 by 5. 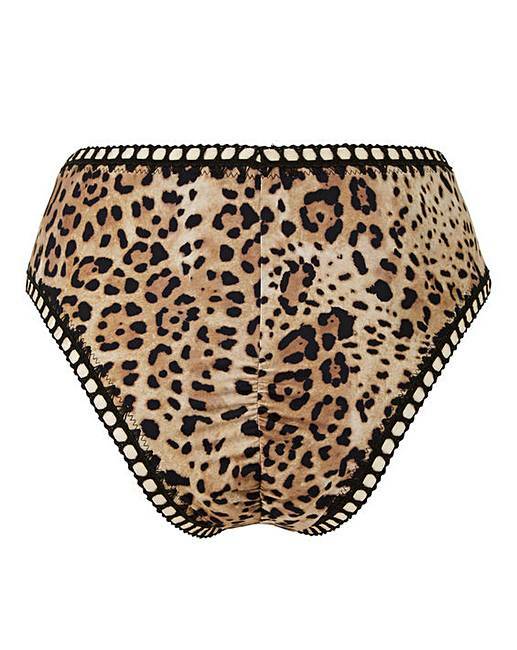 Unleash your inner animal in the Miami swim collection from Figleaves Curve. These high-leg bikini briefs feature a midi waistline and crochet elastic trims to leg and waistline. Complete the look with the matching Miami bikini top from Figleaves Curve. Rated 3 out of 5 by Tra from Love it! These are lovely but they're a small fitting. Hopefully slim down to fit in them nicely lol. Rated 2 out of 5 by Gup1 from Beautiful bikini Lovely, but I needed purchase a size 20 as read previous reviews and went up 2 sizes, now granted I do have a big bum, but the 20 was so tight. I ordered a 24 and tbh it’s still a little on the snug side. Hoping it stretches a bit as it is a beautiful bikini! Rated 3 out of 5 by Charliechan from On the tight side! These are really nice but very tight. 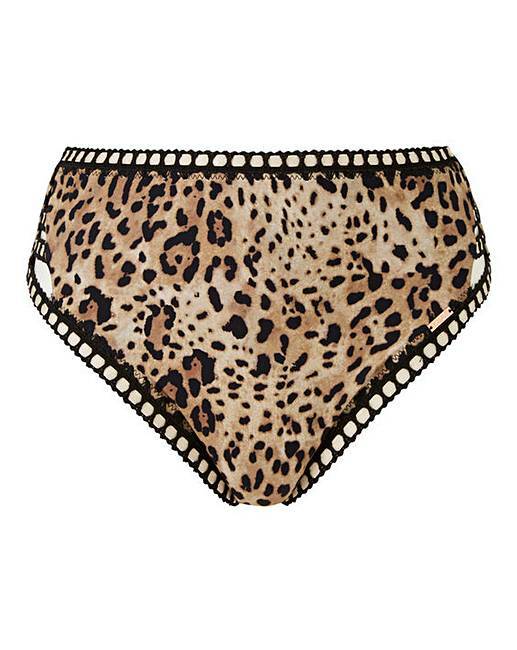 I ordered a 16 and wear other bikini bottoms in this size as well as knickers and I've had to go up two sizes to get a really comfortable fit. Rated 3 out of 5 by CSE85 from Very narrow on the hips Love the style and colour but they are very narrow with little stretch so had to return. I'm a size 16 but they were miles too small, more like a 12 or small 14.